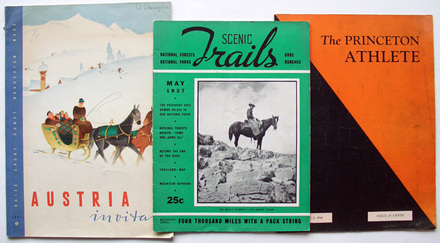 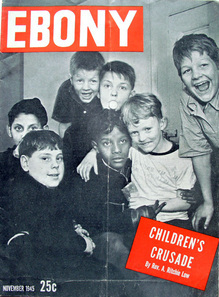 Elmer Adler, former curator of the graphic arts collection, was a connoisseur of publishing. 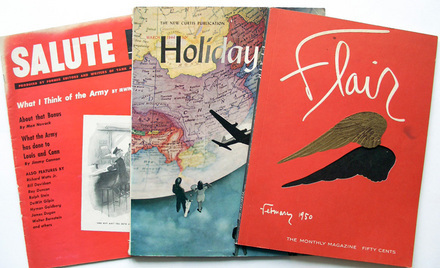 One of the genres he collected was first issues of magazines. 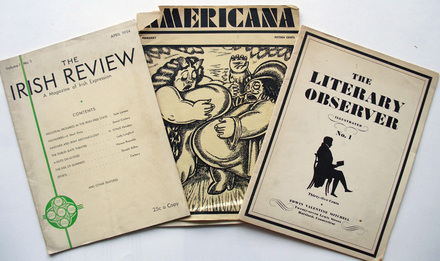 This collection is separate from the library’s own runs of serial and includes mostly American titles. 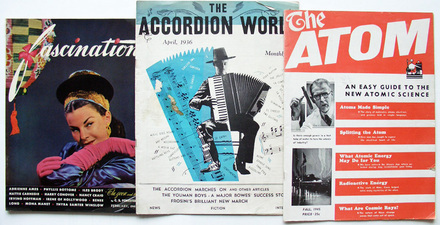 Each issue is volume one, number one. 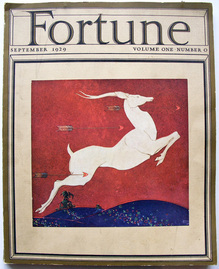 One important exception is Adler’s copy of Fortune magazine, which is volume one, number 0. 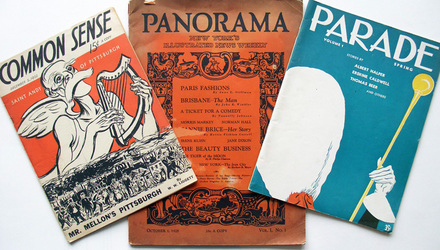 This September 1929 publisher’s dummy includes many of the articles but lacks some of the photographs and has no table of contents. 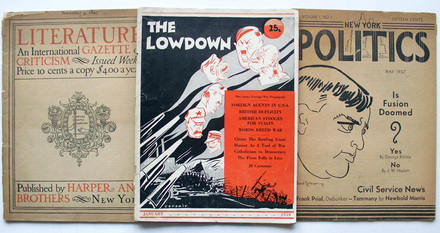 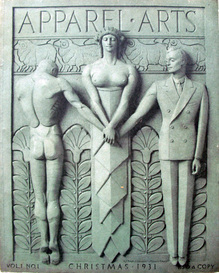 The cover image by Stark Davis (1885-1950) is completely different than the one by T.M. 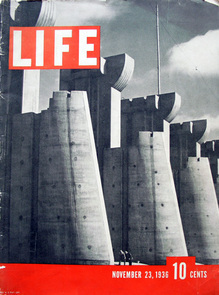 Cleland (1880-1964) used when the magazine debuted in February 1930.